Show off your love for the outdoors and the animals there with this Chipmunk Indoor/Outdoor MatMates Welcome Mat displayed at your front door. This mat can be used as a stand-alone doormat or paired with any of our indoor trays and outdoor trays. 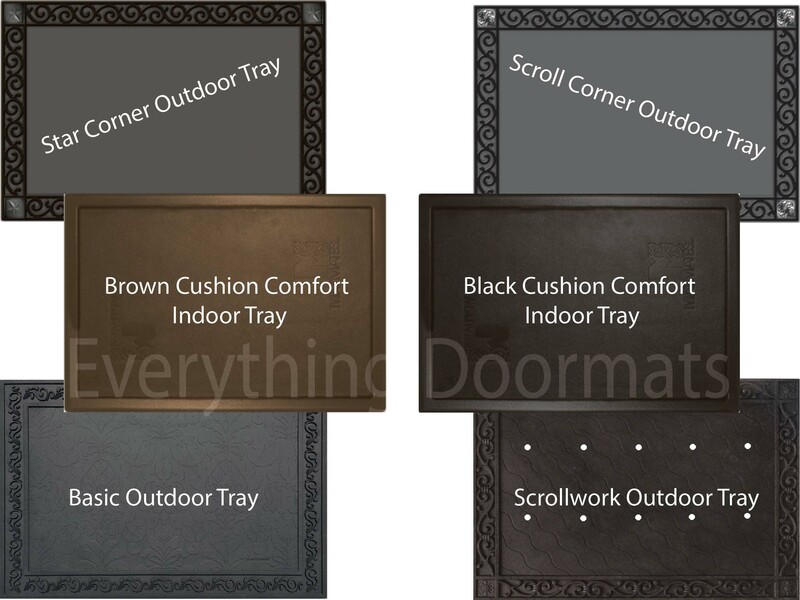 Use an indoor tray for a cushion comfort surface or an outdoor tray for a classy upscale look at your front door. There's no better way to welcome your guests into your home than with this beautiful and long-lasting Chipmunk Welcome Mat. Note: The Chipmunk Floor Mat is pictured in our Scroll Corner Outdoor Tray. The outdoor trays and cushion comfort trays are sold separately.